Diabetes seems to be a rather common affliction in Portugal, which is no great wonder given the sweet tooth so many people here have. 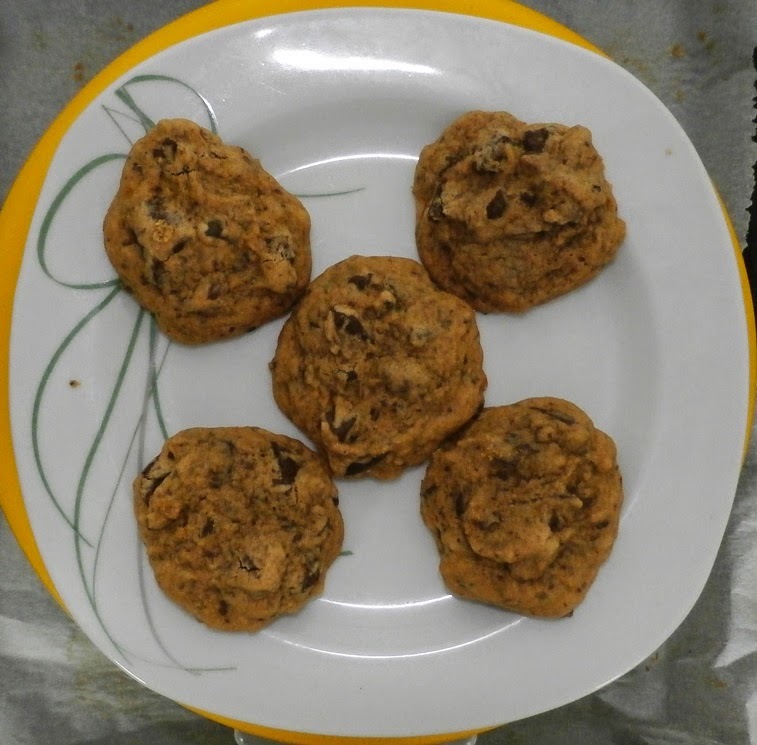 This is expressed in a great variety of cookies one finds offered in markets of every kind, most of which are quite different from the cookies familiar to me in the American and German baking traditions. As I have made batch after batch of American cookies for my friends and neighbors in Portugal, I've had a little nagging sense of guilt at what damage I might be doing contributing to their diabetic state, but the thought that cutting down their consumption of cerveja to, perhaps, a dozen bottles a day might also help with the diabetes does assuage my guilt somewhat so I can keep the grandchildren in my neighborhood supplied with a better fix than some offer in Bairro da Câmara. Sourcing ingredients is often difficult here, partly because I'm still learning the local names of things but also because many things are simply not available. Take sheep butter, for example. As far as I know, it's only found around here at Intermarche, and the other day it was sold out, so I had to settle for goat butter. Life can be rough. If you want something really exotic like chocolate chips or cream of tartar, you just have to substitute creatively. I do a lot of that. And because I'm in Portugal, it never hurts to add garlic. It adds a new dimension to Spätzle, Portuguese-style for example. It's actually hard to get the sugars I want here in the heart of the country. White granulated sugar? No problem, though I prefer its common yellow cousin here. But the darker stuff, açúcar moreno, isn't so easy, particularly if you like it really dark. So when I discovered a bag of deep brown sugar with a satisfying molasses whiff to it, I was delighted and snatched it up for the next batch of cookies. These were good, but turned out to be a little strange. Drop on parchment and bake at 175°C (350°F) for something like 10 minutes. I told my friend with diabetes that these were better for her. That might not be true, but given the response I think I'll keep lying. Bake in a preheated 375°F oven for about 10 minutes or until golden brown. 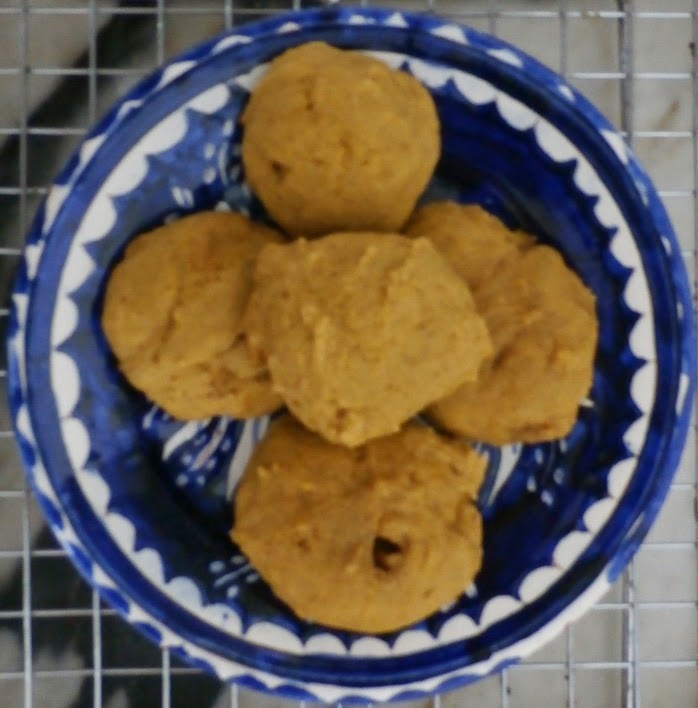 I suppose you can mess around with the sugars any way you like; I like substituting corn flours for wheat in recipes where gluten isn't needed, and I think it usually improves the character of a cookie. I may try a batch of these using just corn flour. And maybe drop the milk and use more mango puree. And a bunch of other little adjustments, because while lazy translators may crave repetitions, I find that boring in recipes, which I consider to be like German laws: there to be flouted as long as it's a victimless crime. I only make an exception with phenolphthaelin as an additive on special occasions for those on the run. 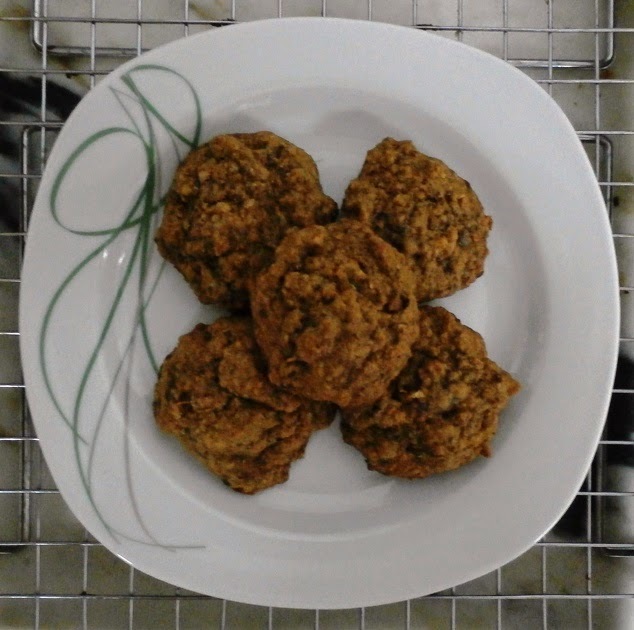 In the batch I made, it seems that the brown rice sugar was not perfectly mixed in and formed interesting little pockets, which produced a surprising effect when baked. I can't describe it; it needs to be experienced. And it is a delight! Vanilla extract was never a problem here, Allison, certainly less so than in Germany where the stuff is sold in silly little foil packets. Still, I would prefer buying it by the quart at least, not in small bottles that get used up in a few days. That I enjoy baking isn't much of a revelation; I've mentioned on numerous occasions that baking projects were one of the things that got me started in translation some 38 years ago. Probably the first thing, though after all these years I can't recall whether I might not have done a bit for pyrotechnics, explosives and poison gas first or at about the same time. The 8th floor of Millikan Library was a great place to practice one's German and Russian skills with old texts. I'll ask around about the lime; I think I can improve the nutritional value of things I make with corn if I use it too. I seem to recall that it's one of those things which, if left out in a diet heavy with corn, can lead to the four D's: diarrhea, dermatitis, dementia and death. When I had an excess of figs years ago on a Greek vacation I just made up a fresh jam with honey every morning, which provided a rather nice breakfast for a week; you could probably do that as a freezer jam. Cream the butter and sugar well, then add the vanilla and egg, beat more and then add the mango finally, ensuring a thorough, smooth mixture. Then add the flour and baking soda, mix well but not too long (though with corn flour you have no gluten, so this may not be an issue like it is with wheat). Drop onto a baking sheet and bake at 375°C (190°C) for 10 to 12 minutes. I got 2 dozen cookies for this quantity. Note that brown rice sugar is *not* the sugar you usually use. It is less sweet among other things. Time-saving tip: the DELETE key! Let them eat cake (in translation)!